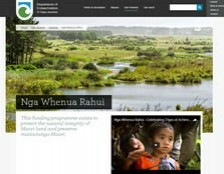 ena koutou e te iwi. 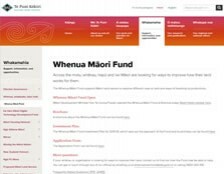 The Kāinga Whenua loan scheme is an initiative between Kiwibank and Housing New Zealand to help Māori achieve home ownership on papakainga. 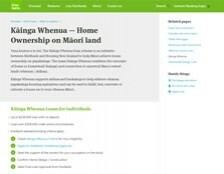 Kāinga Whenua supports ahikaa and haukainga to help address whanau papakainga housing aspirations and can be used to build, buy, renovate or relocate a house on to your whenua Māori. 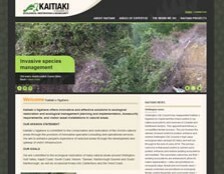 We are committed to the ecological restoration of many natural areas around Wellington, Hutt Valley, Kapiti Coast, South Coast, Nelson, Tasman, Marlborough Sounds and South Marlborough, as well as occasional forays into Canterbury and the West Coast. 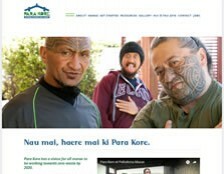 Para Kore has a vision for all marae to be working towards zero waste by 2020. 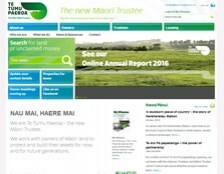 We are Te Tumu Paeroa - the new Māori Trustee. 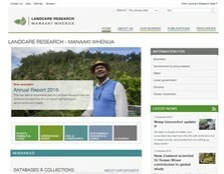 We work with owners of Māori land to protect and build their assets for now, and for future generations. 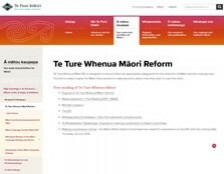 Te Ture Whenua Māori Bill is designed to ensure there are appropriate safeguards for the retention of Māori land as a taonga tuku iho and to make it easier for Māori land owners to make decisions about how they wish to use their land. 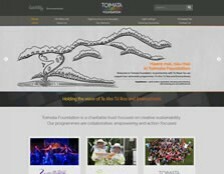 Toimata Foundation is a charitable trust focused on creative sustainability. Our programmes are collaborative, empowering and action-focused.